Oh Ash, I’m sure you’ll find the right one soon! Or maybe you can just get it over with one of our many husbands and/or significant others that think you are the shizz! I nominate my DH, just bring Rob with you to keep me “company”! Is it wrong that the Maxim photo makes me consider switching teams for about 6 seconds? Dang girl! It is nice to know in that whole group of craziness there are some good role models. – Peter as the family man that truly loves his wife and sets a positive example of how a love can last longer than 6 months in Hollywood. Happy that Rob has some positives on set and doesn’t just have Smokey the Bear Kristin to look up to. It helps him stay pure for me. Yes…that is right. The medication helps me remember that. <3 Ashley she is the one cast member who actually makes me feel my true age as I'd love to mother her…..
She can be what I am in a second flat…but I can never again be what she is now. 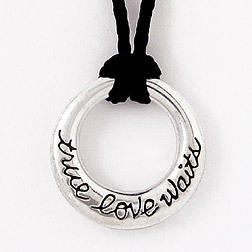 True love does wait, indeed. I believe in Lola Shoes vampire virginity………. When’s the next flight from Dublin to Forks? And whose got the Cullen’s exact address? UC, *I’m busted. * How did about ‘most recent abstinence conference’? How would somebody know about that unless they attended it, huh? But, why would you attend it? How she does not have a line of dudes around the block is beyond me. She is so pretty, she even looks good in the candid at the airport! I don’t know what this “Flatline” thing is, (I was raised a heathen) but doesn’t that seem like a weird name? Isn’t ‘Flatline’ what happens on the heart monitor when you die? Doesn’t sound very uplifting….just sayin’. <— "fake lesbian" (not even fake now) because of her Maxim shoot. I got my boyfriend to promise to see New Moon with me. I'm pretty sure Ash has something to do with his relenting to go with me. That is most def a promise ring to ROB. You know…he did say he was going to stay away from girls born after ’88! haha! I think she is wearing her no FF Purity Ring that JBell and I wear!! That’s right, we are not alone!! I like to pretend that rob, ashley, and kellen still hold their v cards. Only rob and ashley truly are pure though. In my world kellen accidently went too far with a girl at church camp one year when he was in grade 9, but he repented to his 18 year old camp counselor ( who also snuck out and did it with one if the underage female campers )and is therefore a Virgin again PTL!! Girls are red boys are blue let’s not make purple people. This is the true story behind kellens need for such strict accountability. I do believe in waiting. Especially if you are smoking hot, no one should get to do Ashley without a commitment. If you like it you should of put a ring on it. If you like it then you should’ve put a ring on it…Uh oh oh oh oh oh oh oh oh oh oh oh oh!… Damn you Beyonce! so how does this affect MY promise ring to Jackson??? wooo, Thom Yorke! Are you a Radiohead fan UC? and wow, Ashley, what a picture. Jackson is a lucky man. Props to Ashley for maintaing to keep her v-card. Good to see fame hasn’t gotten to you. You make your fellow v-card holders proud! haha. She’s engaged to her talent agent Ryan not Jackson. That’s the Alice and Jasper ring! she said it in an interview,besides its kinda a Jasper/alice thing but also Jackson/Ashley!